How to download and install the application? How to delete data from a lost device? How to configure the application quickly? 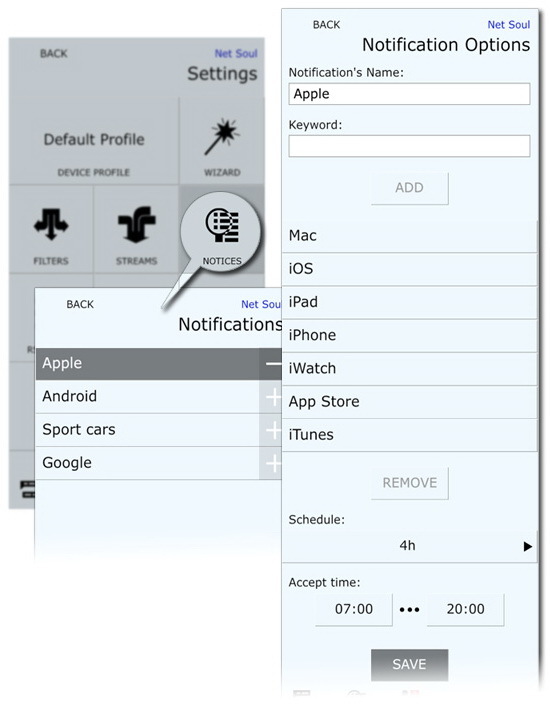 The easiest way to set up and start using MobiTile is to use Wizard (Settings -> Wizard). Start Wizard, and follow the instructions to complete setup in just three steps. b. Exclude from the stream messages that contain keywords from the list (the filter will be marked with "-"). Remember that a filter can be used simultaneously in multiple threads on multiple devices. 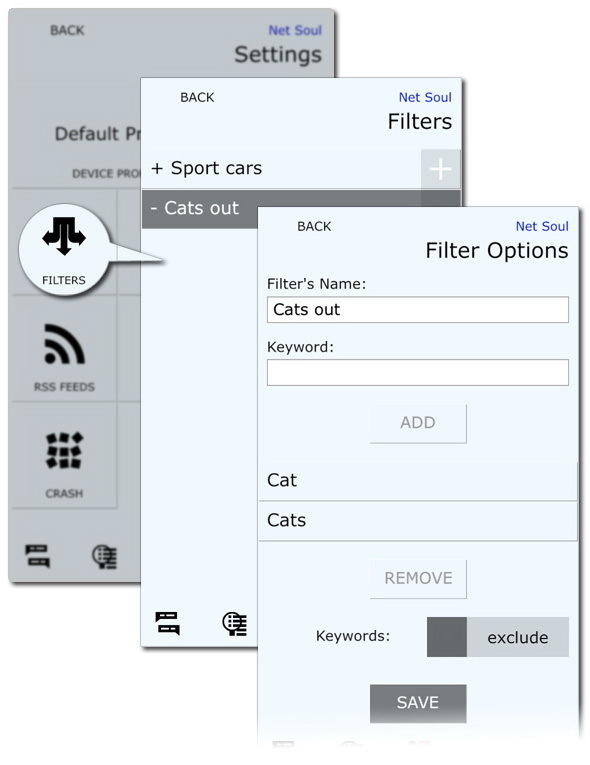 Removing the filter, you remove it from all streams and devices where it is applied. 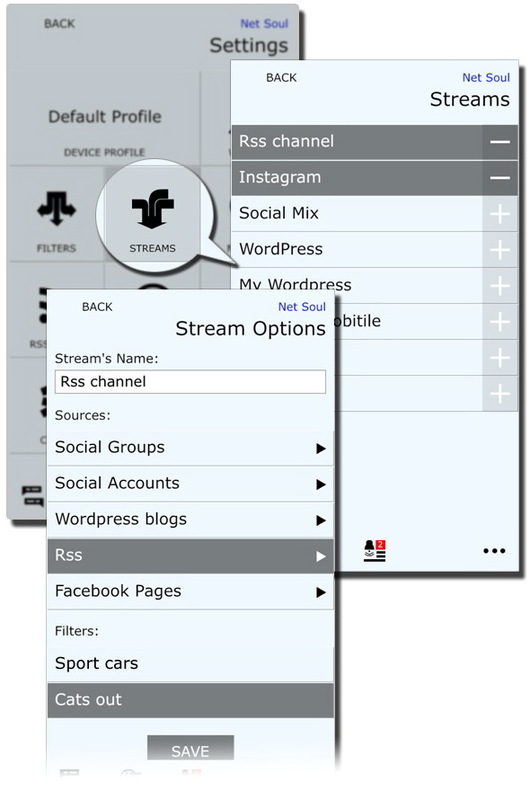 You can create any number of streams. Messages from the same sources may be sorted into different streams by filtering according to your topics of interest. When you delete a stream, sources and filters that are used, they are not removed from the system. Free your hands and get the important things while your personal MobiTile assistant will review sources, seeking for necessary information. When the assistant finds the required information, it will send a Push Notification to your device. You can create multiple notifications and use them with device profiles. 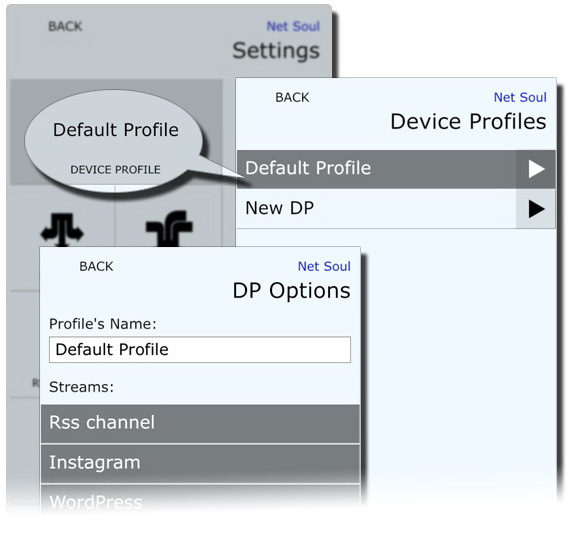 Device profiles allow using individual settings with each device connected to your MobiTile account. Also they allow a rapid switch between profiles on the same device. 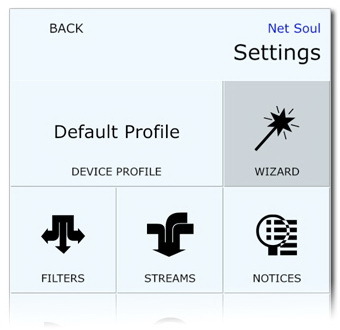 The system automatically creates the default device profile once you activate the account. User can select a background color and set a background image in the app from now. 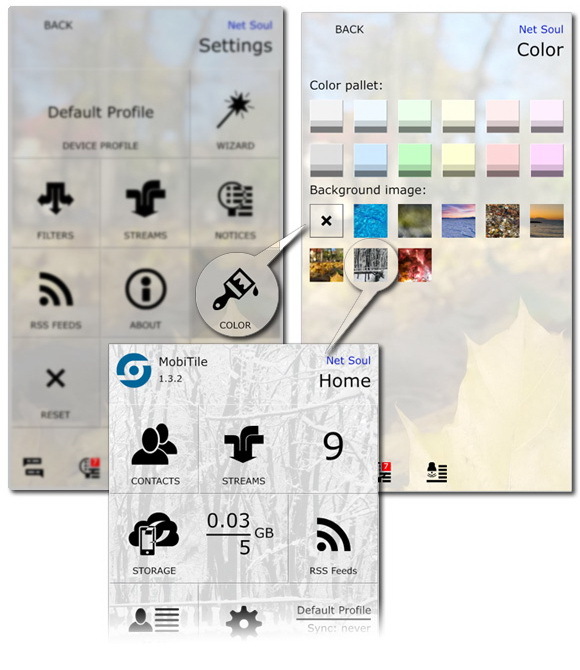 MobiTile provides a few color schemas and predefined images. Just open Settings -> Color and select the right color or image for your mood!